What is SAP Oracle, Course, Career and Certification? Definition - What is SAP Oracle? In the past few years, SAP and Oracle have worked in a coordinated way to provide their customers with the popular SAP/ Oracle environment, with SAP applications sitting atop the Oracle database. With many reliable tools and techniques in place, Oracle has been providing long term and dedicated support to SAP users in the contemporary scenario and in many more ways than one. Candidates desiring a future in SAP Oracle can increase their skills related to this field by understanding the various levels of its database oriented course. These courses are very much helpful and necessary for those wishing to become database administrators and appropriately enrich the knowledge of SAP Oracle database users. Creation and management of database tables and objects. Easy manipulation of data by making use of query statements. Easy user access to data. Writing of basic query statements and sorting of data. Application of single row functions. Aggregation of data by making use of group functions. Display of data from multiple tables. Oracle 10g date and time functions. Oracle 10g- Advanced version to DML and DDL statements, and so on. In addition to these, information about other facets of the database in use is quite necessary. To get a thorough knowledge of all these elements of SAP Oracle, there are a number of virtual/ offline classes available for your requirements. Database administrator: This job profile includes managing of software systems and developing SAP enabled computer databases. Database administrators are responsible for handling security issues such as maintaining employee database and providing of legal access to the database in operation. DBAs need to be quite familiar with the structure of the database and should maintain backup data as well. They must monitor system performance regularly and upgrade the system as per the requirements. Application developer: The main task of application developers is to manage and preserve the entire database. They need to upgrade the existing database in order to handle the increased usage of data. Instructional coordinators: Instructional coordinators are professionals who are accountable for developing the instructional materials for training purposes. They are in-charge of preparing curriculum and course materials for institutions. Earning a SAP Oracle certification is a lucrative achievement and requires up to date knowledge and experience in the same field. A professional Oracle DBA should have good knowledge regarding the most recent trends, best practices and techniques that are followed by the Oracle database technology. 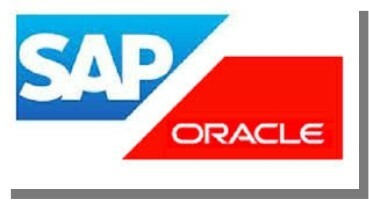 Being an Oracle certified SAP professional will place you as a more skilled and professional technologist in the field. Certified professionals have to work under the supervision of seniors in the field, in order to get an appraisal for their resumes. Those starting their career as a SAP Oracle DBA. If you happen to switch from one job to another, irrespective of reasons. If you are fresher in the IT world. Getting an SAP Oracle certification can really boost your career as Oracle DBA. Most certified professionals have found that their investments in training have been compensated quickly by their salary. Candidates aspiring for the SAP Oracle course need to have a four years degree certification course from any recognized university and should belong to the computer science or software engineering stream. In addition to that, they should have experience related to SAP database activities and possess basic knowledge of SAP Oracle course by going through the course material.